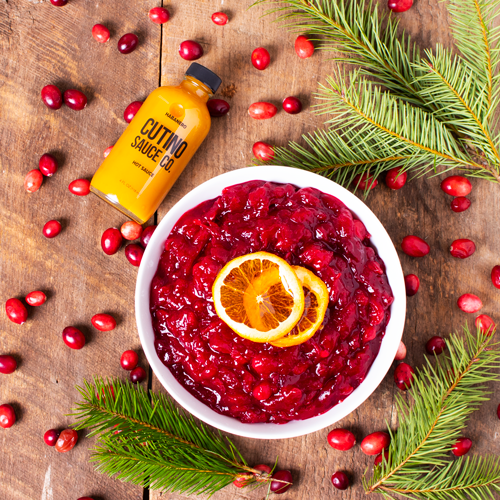 Habanero Cranberry Sauce - Cutino Sauce Co.
1. Add water and honey to a medium sauce pan and bring to a boil. 2. Reduce to medium heat and simmer until the majority of the berries burst. 3. Add the remaining ingredients and simmer for 10 minutes. 4. Continue to reduce to your preferred thickness. 5. Cool and place in the refrigerator until ready to serve.